Sure, you’ve already heard about people making and aging wines in amphora buried in the ground (ground serves as a natural cellar in terms of stabile conditions). There is nothing new about it. What’s new is that people in Croatia buried, or to be more precise – submerged their amphora in the sea. But let’s go back to the beginning. 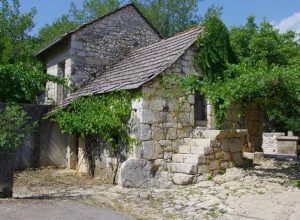 Since the ancient times, Dalmatia has been a part of naval routes of the old world. At that time, amphora was the only vessel in which Greek sailors transported their wines. 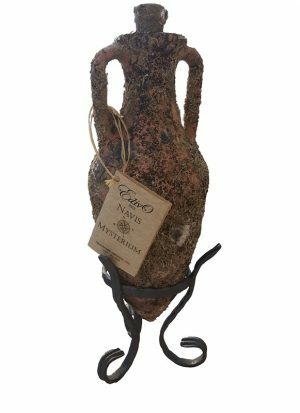 Moreover, the biggest number of these ancient wine amphoras was found in our very own Adriatic Sea. 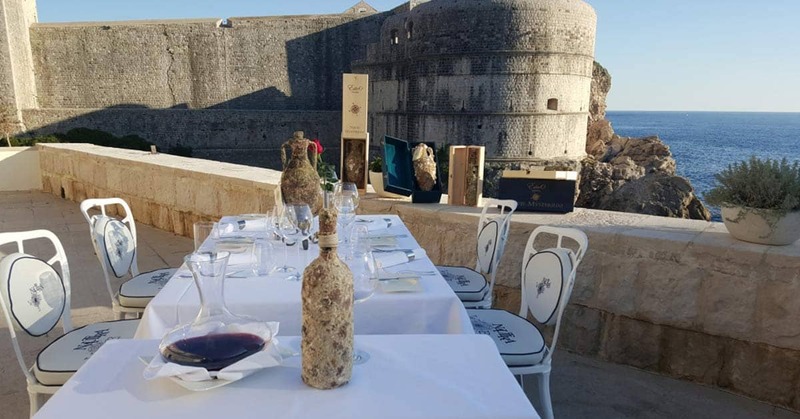 So it’s no wonder two winemakers from Dalmatia, Pelješac peninsula to be exact, got the idea to put their wine into amphoras and to submerge them 20 meters below sea level. 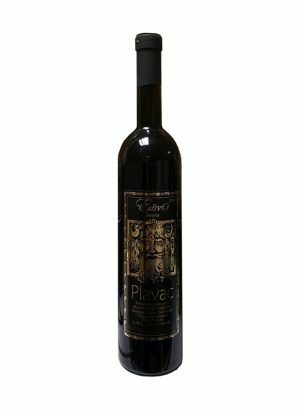 Navis Mysterium 2012 (Brodska tajna in Croatian) is a wine made of famous Croatian red grape Plavac Mali, ancestor to Zinfandel and Primitivo, coming from the locality of Janjina on Pelješac peninsula, famous for this typical Croatian red wine. 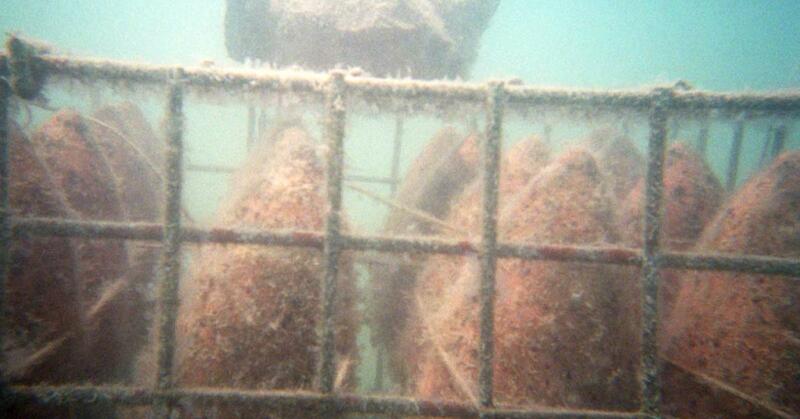 Once bottled, wine in 0,75 L bottles is inserted into clay amphoras which are then put into underwater cages. After a few years of trials and errors, Edivo winery found a perfect method to reserve the wine and stop the sea penetrating into wine bottles. Also, after changing a few locations for submerging, they found the right spots where sea currents were of the right intensity. It was important to find a location where sea flora and fauna would cover the amphora to show the richness of Adriatic sea. Today, amphora cages are located in Mali Ston bay and Mljet channel. Once removed from the sea, amphoras are beautifully covered with corals, oysters and various shells giving an impression of hundreds years old sea treasure. Keeping Navis Mysterium secure was a high maintenance job. Every ten days they had to dive to check the submerged amphoras in locked cages. They had to exam each bottle to make sure sea didn’t penetrate into wine. In average, each bottle was lifted some 50 times, which equals the number of dives. The period of aging depends on the locality, but in general these bottles spent some 1,5 to 2 years under the sea, which also served as a natural cellar. 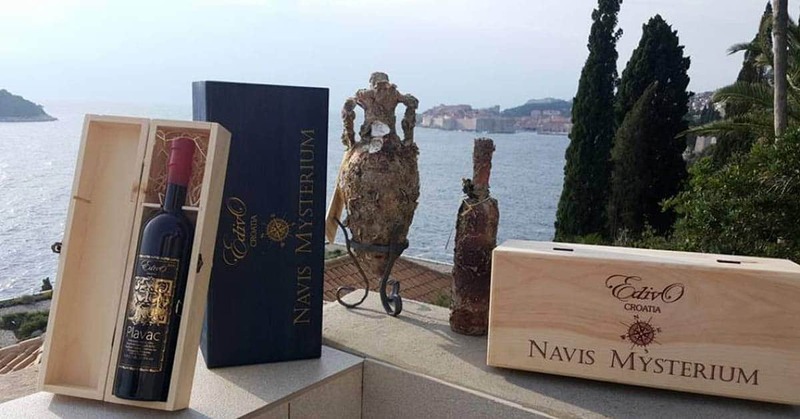 Navis Mysterium 2012 was aged in the normal cellar 3 months before submerging and the same period of time is necessary for desalinization once bottles are taken out of the sea. 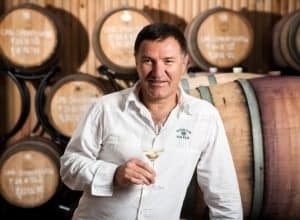 This labor intensive method is the reason why Navis Mysterium 2012 is one of the most expensive Croatian wines on the market. However, its unique story resulted in high demand from countries such as USA and Hong Kong.